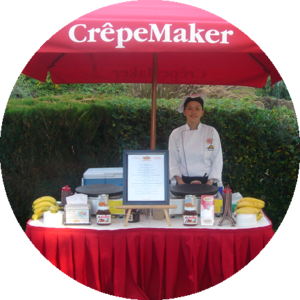 The original CrêpeMaker® was established in 1992, an idea inspired by French crêpes sold from Parisian street carts. Instead of those simple crêpes filled with sugar, CrêpeMaker® owners Maria Suñe and her husband imagined a non-traditional crêpe filled with fresh, healthy food combinations, made right in front of customers, that would satisfy the heartiest of appetites and the sweetest tooth. Be a guest at your own party. CrepeMaker can go anywhere any time. Call us for your last minute events! We do parties same day. 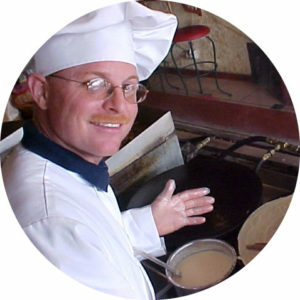 Visit one of our locations to taste for yourself our delicious crepes. 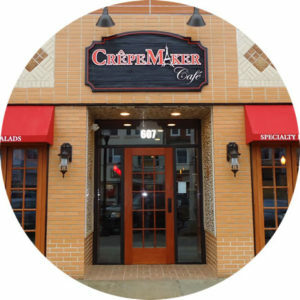 Get information about becoming part of the CrepeMaker family and being your own boss.